Instead of animal tallow (sodium tallowate) common to most soaps, we feature a pure vegetable base of palm and coconut oils. 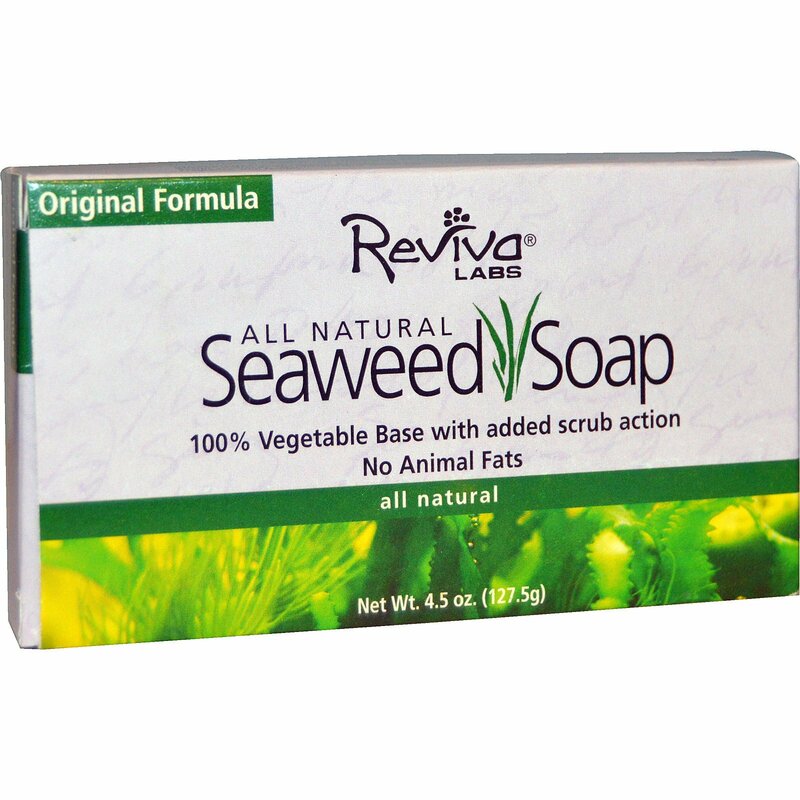 Our seaweed grain's scrub action, which helps remove hidden impurities, has been a family favorite in shower or bath for many years. 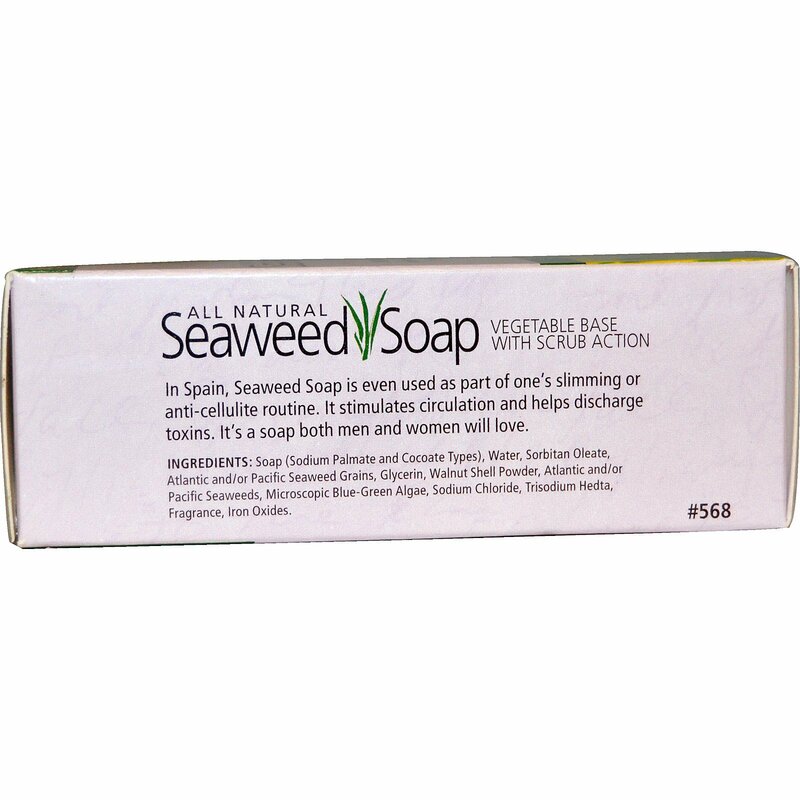 In Spain, Seaweed Soap is even used as part of one's slimming or anti-cellulite routine. It stimulates circulation and helps discharge toxins. 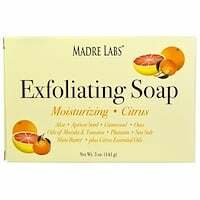 It's a soap both men and women will love. Soap (sodium palmate and cocoate types), water, sorbitan oleate, atlantic and/or aacific seaweed grains, glycerin, walnut shell powder, atlantic and/or pacific seaweeds, microscopic blue-green algae, sodium chloride, trisodium hedta, fragrance, iron oxides.